The Spaniard continues his winning streak with a motorcycle he will soon abandon. Jorge Lorenzo reminded the world what he's made of at the 2018 MotoGP Grand Prix de Catalunya where he conquered the top step of the podium with his bright red Ducati for the second consecutive race. Honda's Marc Marquez followed in a distant second place and Valentino Rossi in third. Marquez launched alongside Lorenzo as soon as the lights went out at the Circuit de Catalunya, and despite having a better run down the straight, Lorenzo didn't make it easy for his compatriot and soon-to-be teammate. 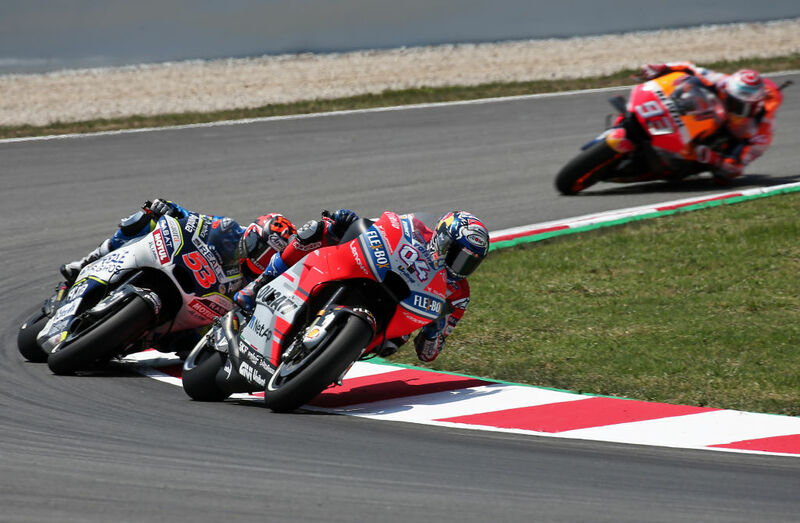 The Honda rider was able to make it stick on the first corner and successfully commandeered the lead of the race, but just one lap later, Lorenzo's pace proved to be superior and the Ducati's horsepower earned him the lead once more. From that moment on it was a qualifying-pace lap after qualifying-pace lap from Lorenzo, who logged more than 23 laps in the one minute, 40-second range. Lorenzo began opening a gap to Marquez, who was coming under threat of the Ducati of Andrea Dovizioso who was also being pressured heavily by Suzuki's Andrea Iannone. Such pressure was eventually too much for Dovi, as the Italian lost control of his Ducati and slid off the track with just 15 laps to go. By this point, Lorenzo had built a 1.8-second gap to Marquez, who after ditching Dovizioso and Iannone suddenly found himself riding a lonely race in second place. 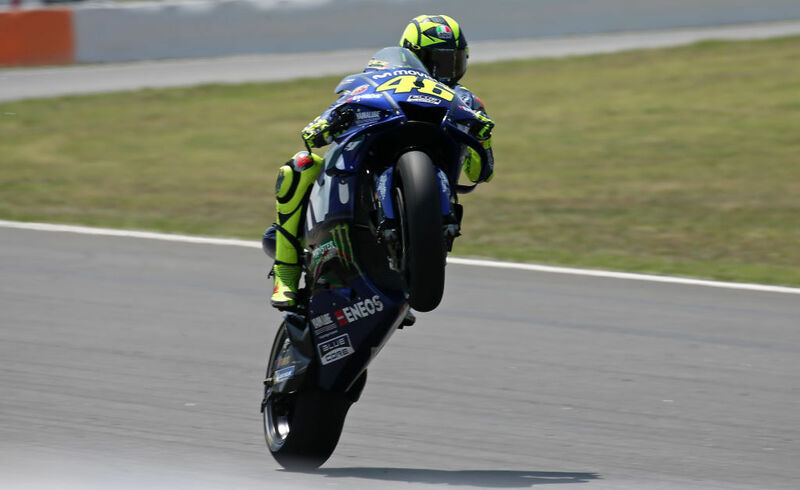 Luckily for Valentino Rossi, this high level of attrition meant that he had been promoted to third place, earning him a third consecutive podium finish. 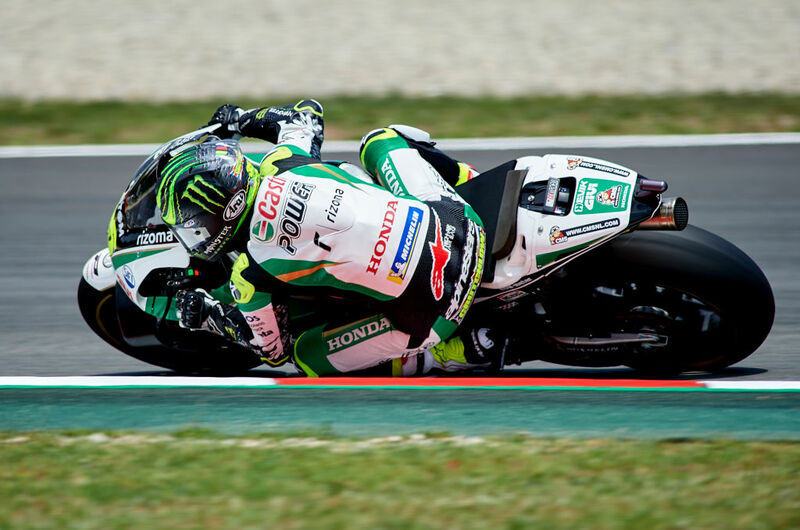 Further down the field, it was Cal Crutchlow and Dani Pedrosa who were fighting for fourth place in the closing stages, but Crutchlow eventually became the 12th retirement of the race when he crashed with just a handful of laps left. At the end of the day, it was a masterful performance by Lorenzo, who will surely use this victory over Marquez as psychological warfare against his future teammate at Honda. 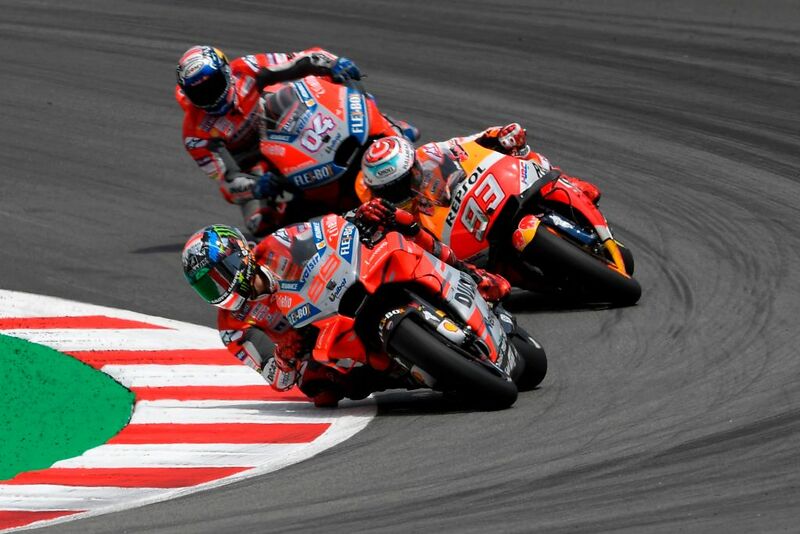 The MotoGP circus now heads to the Netherlands for the Grand Prix of Assen on July 1. The rolling mini-hospital is staffed by up to 25 people at every Grand Prix of the season. The Moto3 rider suffered severe head injuries as a result of a crash at the Circuit de Catalunya. Lorenzo stole pole position away from Marquez by a minuscule six-hundredths of a second.